Mark Webber's surprising podium place, having started 18th on the grid, have allowed Red Bull to retain their lead on the constructor's championship. McLaren aren't prepared to be left behind, though, and Hamilton's win has helped them keep tabs on the competition. 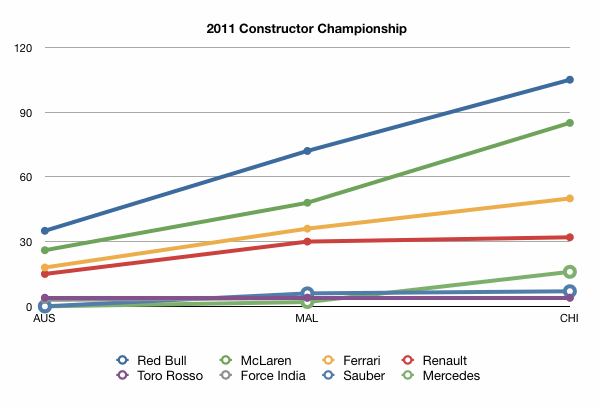 Further back, the gap is widening between Ferrari and Renault, with Mercedes vastly improving up the order.